Shimla: Failing to compile answer to petition of RTI activist Dev Ashish Bhattachartya seeking quashing of police inquiry against BJP MP Virender Kashyap, state government has sought more time to file reply. A bench comprising acting Chief Justice Mansoor Ahmed Mir and Justice Kuldip Singh granted six more weeks’ time to Govt to file the reply. The High Court bench has listed the case for hearing on April 16. 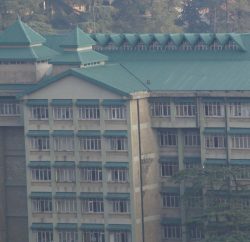 Shimla BJP MP was allegedly shown in audio video CD accepting cash from a private party for helping it in securing permission for setting up an educational institution in the state. The MP has refuted the allegations. After it was aired by a news channel, a special team of Solan Police conduct inquiry into the matter and within a month submitted report, in which Kashyap was given clean chit. 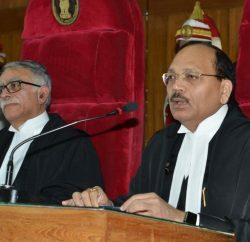 However, the petitioner Dev Ashish Bhattachartya approached the high court, alleged that inquiry conducted in the matter was not fair and was only aimed at hushing up the matter and sought the quashing of police inquiry report and demanded a fresh free and fair inquiry into the case. 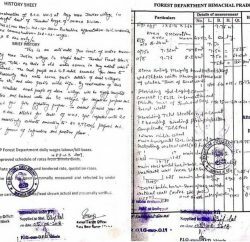 Earlier, in November 2013, the Himachal Pradesh High Court has issued notice to BJP MP Virender Kashyap on a petition and granted four week time reply.